If you need temporary car insurance, it's generally because you have to arrange something quickly and don't want to organise 12 months' cover at short notice. Adding a car or driver, short term to your existing policy can be done quickly over the phone by our customer service team. With temporary insurance, the standard level of cover you get is fully comprehensive, giving you a higher level of cover than just relying on your 'driving other cars' extension which in most cases provides third party cover only. With Admiral, this means the temporary cover you have can be fully comprehensive even if your existing policy is third party, fire and theft. Whether you're learning to drive, need a car for a weekend or you want to add a second car to your policy for a few days, we have temporary car insurance options to suit your needs. What do you need temporary car insurance for? We have three options for covering you or a friend or family member on a short term basis. If you want to share your car with someone you know - your son or daughter, family member, close friend or colleague - take a look at Veygo by Admiral's Car Sharing Insurance. 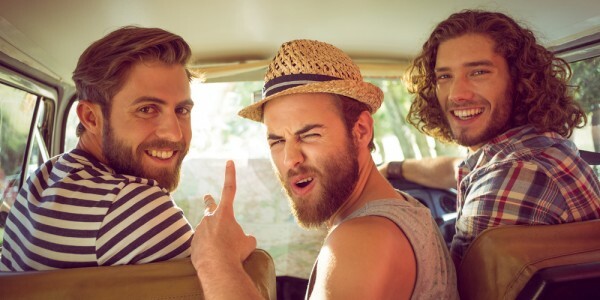 If you need to borrow a car while you're home from uni for the weekend or you're planning a road trip with friends and want to share the driving, Car Sharing Insurance will cover you. And, the owner's No Claims Bonus is fully protected in the event of a claim. 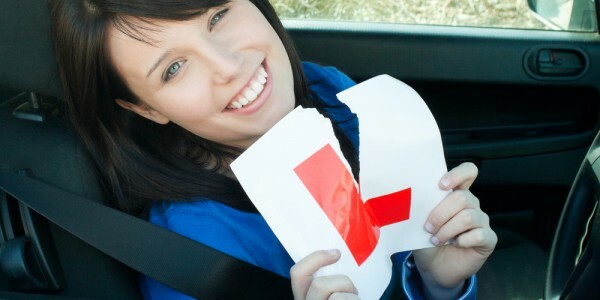 If you're learning to drive in mum or dad's car, or a family member's car, take a look at Veygo's Learner Driver Insurance - it will cover learner drivers for anything from two hours to 90 days and any claims made will not affect the car owner's No Claims Bonus. If you're looking to add a second car to your existing Admiral policy for a little while, Temporary Additional Vehicle cover could be the answer to your insurance prayers. You don't need to start a new policy, simply add it on for up to 30 days. If you need to borrow a car or loan yours to a friend or family member for anything from one hour to 30 days, Veygo by Admiral's comprehensive Car Sharing Insurance could be the right option for you. If you're looking for one day insurance because you don't want to play taxi while your son or daughter is home for the weekend, or you want to borrow mum's car for a few days, consider our great short term car insurance. It covers you for up to 30 days and the owner's No Claims Bonus won't be affected if you need to make a claim. Our competitively priced cover is also perfect if you want to share the driving on a road trip or you need to borrow your partner's car from time to time. Because we know you're borrowing a car from a close friend or family member who trusts you we can offer a better price than other companies offering short-term car insurance. What's more, neither the car owner or borrower needs to be an Admiral customer - we can get this cover set up no matter who the main policy is with! If you buy a new car you may need cover to get you home from the garage, or until the renewal date of your existing car's policy if there are a couple of weeks left. We can insure that car short term on your policy, you just need to speak to our customer service team who will advise of any admin fees. Insurance specialists Tempcover.com can offer insurance for prospective buyers looking to test drive a car, so whether you're the one buying or selling a vehicle, they could help you get cover without having to disrupt your existing policy. If you're looking to temporarily insure a car for a reason we can't help with, then there are specialist insurers out there who can. In the same way you look for annual car insurance, you can visit price comparison sites like confused.com for quotes. While you have a car insured with us, you can add a second car, short-term, without having to start a brand new policy. As long as the car is registered to you or an immediate family member, you can add it for up to 30 days. You may want to do this if you're selling a car. Both Temporary Additional Driver and Temporary Additional Vehicle are subject to administration charges and terms and conditions would apply. Our Customer Services team will be able to advise you of any additional charges. If you're learning to drive, Veygo by Admiral's Learner Driver Insurance will cover you in mum or dad's car from 2 hours to 90 days while you get to grips with the roads. Our flexible cover is available to UK provisional licence holders who want to learn to drive in a family member or friend's car, provided the owner has a full UK driving licence. What's great about our cover is the main policyholder's No Claims Bonus won't be affected if you need to make a claim while you're learning. Our 90-day Learner Driver Insurance starts from just £1.64 per day while our seven day cover costs just £29.79 - perfect for those last minute lessons before your test.